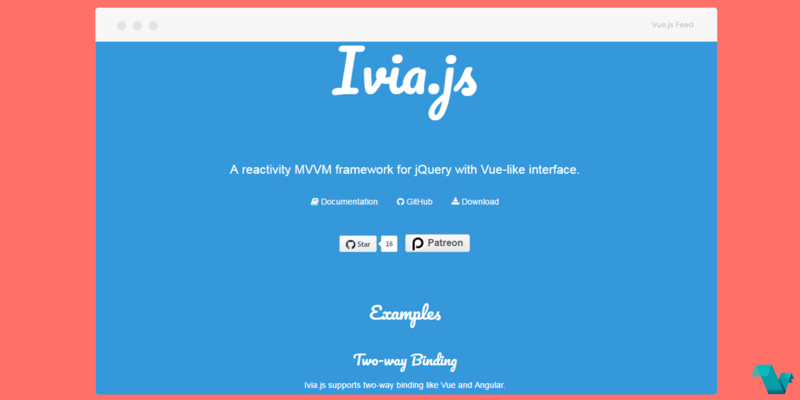 Ivia.js A reactivity MVVM framework for jQuery with Vue like interface. 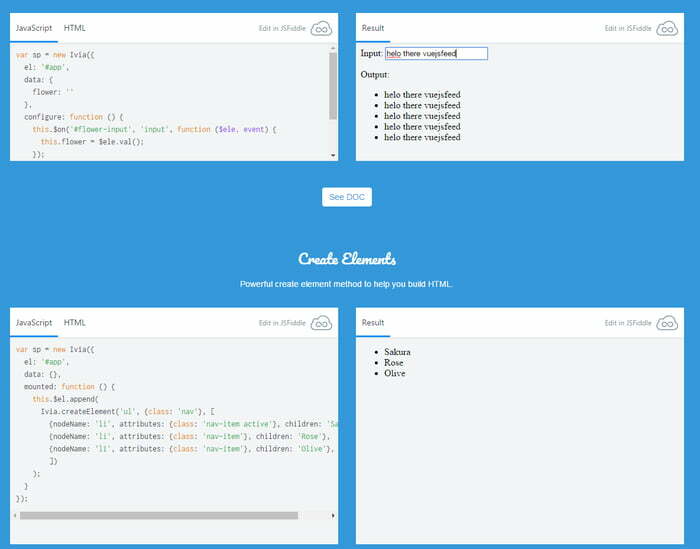 Ivia.js a new viewmodel-first framework reactive and model-driven MVVM framework for jQuery with Vue-like interface. Ivia.js supports two-way binding like Vue and Angular and a lot of its features resemble with these two frameworks, you can test some of these by visiting its home page, and using the fiddles there to play around with it & visit the docs on the related topics. These are the main features this framework is offfering out-of-the box. You can find the source code of Ivia at its GitHub Repository, give it a star & contribute.